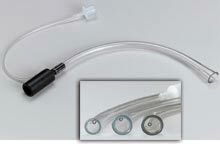 v-gel® advanced veterinary airway management system. 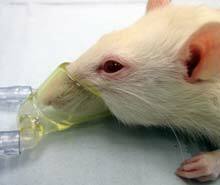 The first true veterinary species specific supraglottic airway device for Rabbits or Cats. What is v-gel®: v-gel® is the first true veterinary species specific supraglottic airway devices. Its core technology was first proven to work in the human anaesthesia and resuscitation airway management sector, specifically the 'i-gel' airway device, which is delivering significant patient and user benefits on a global scale. 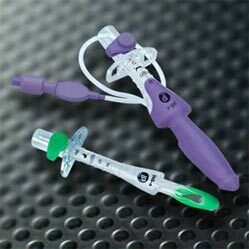 Docsinnovent® are innovation leaders in airway management devices. Its founders led the 'i-gel' product and manufacturing technology development programme all the way to market realisation. After an extensive new research and development programme, Docsinnovent bring the same benefits experienced in humans into the veterinary anaesthesia and resuscitation sector with the first-ever species specific veterinary supraglottic airway devices. 'v-gel®' name is derived for 'v' for 'veterinary' and 'gel' to highlight that it uses a very soft gel-like material that contributes with anatomically shaped features to give a trauma-free high quality pressure seal around the airway and oesophageal structures. 'v-gel®' is an internationally patented, radical innovation for veterinary anaesthesia which delivers significant benefits. What it does: v-gel® has been researched and developed specifically for veterinary use to establish a highly efficient and effective airway for general anaesthesia and emergency resuscitation purposes without the need for use of endotracheal intubation which is a cause of much airway related morbidity and mortality issues. How it works: v-gel® is shaped to mirror the pharyngeal airway anatomical structures for each species of animal. 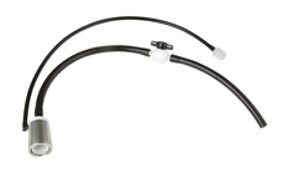 This combined with the use of a super soft gel-like material provides a high quality and trauma free pressure seal with the ability to obtain a clear airway quickly: easily and accurately. Anatomically correct design minimizes leakage and risk to the technician, as well as optimizing accessibility. Includes small, medium and large rodent facemasks, all with supply and exhaust ports (1/8"ID) and 12 feet medical grade PVC tubing. 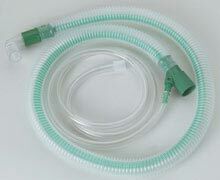 Allows one anesthesia machine to be used for simultaneous multi-patient induction and single-patient maintenance.